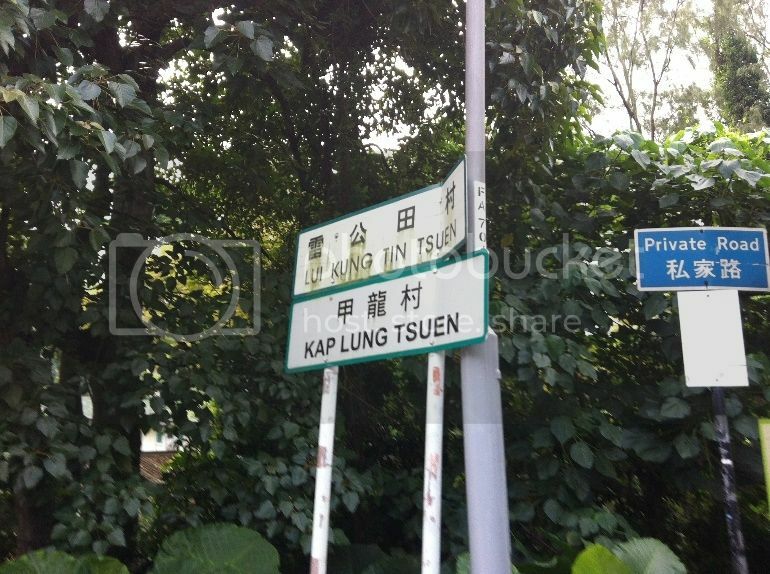 You can park along the private road to Kap Lung Tsuen. 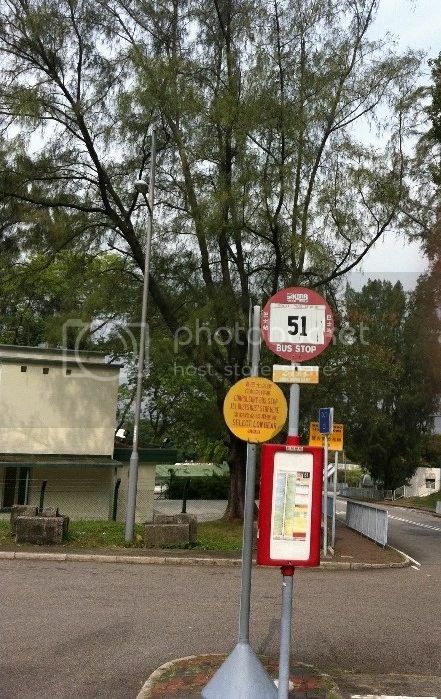 After arriving at Shek Kong Camp bus station follow the private road to Kap Lung Tsuen. 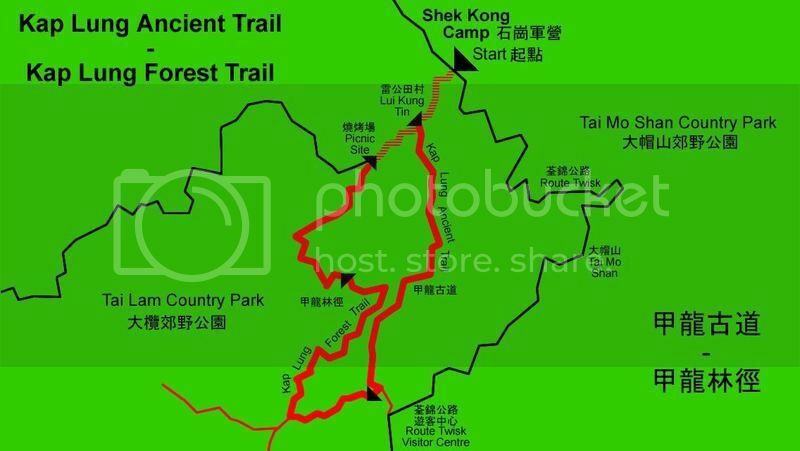 After 500 metres there is a sign on your left-hand side pointing to Kap Lung Ancient Trail. 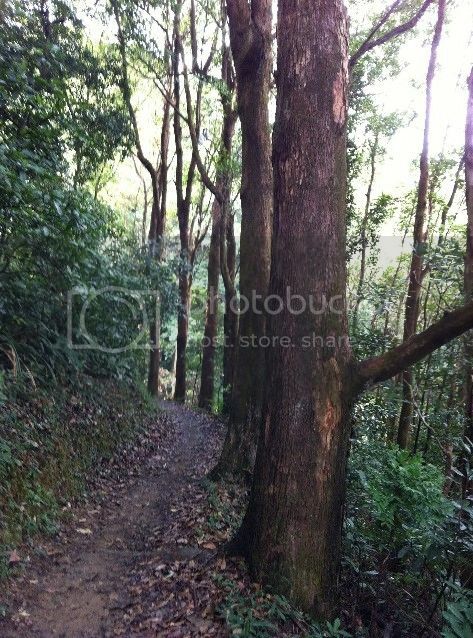 Follow this path uphill to an intersection, where the trail overlaps with Kap Lung Forest Trail. 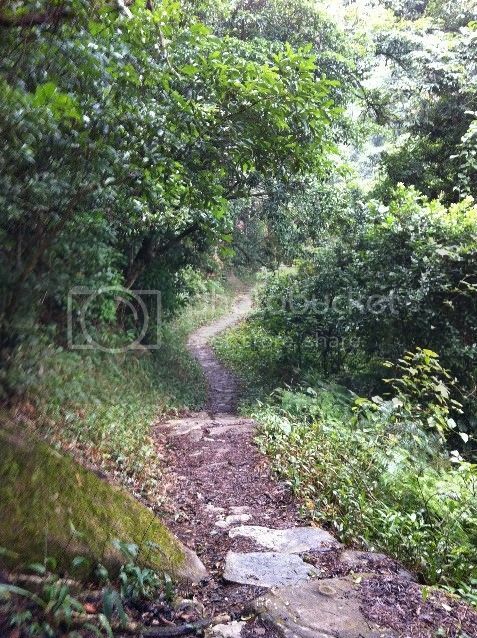 Here turn right and continue hiking on the Forest Trail all the way downhill to Lui Kung Tin. 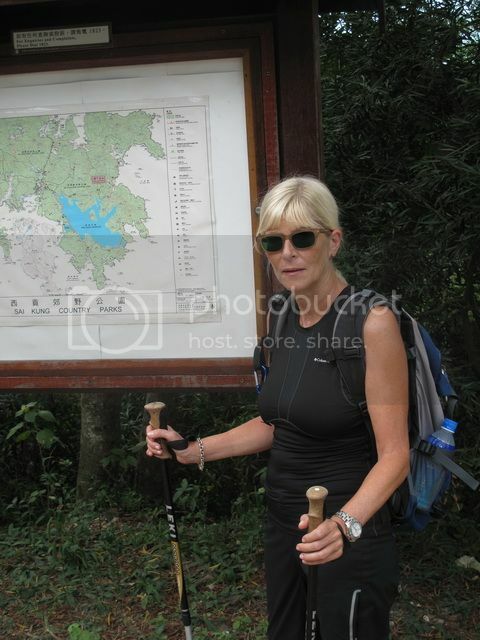 Having arrived at the picnic site turn right and walk back to Shek Kong Camp. 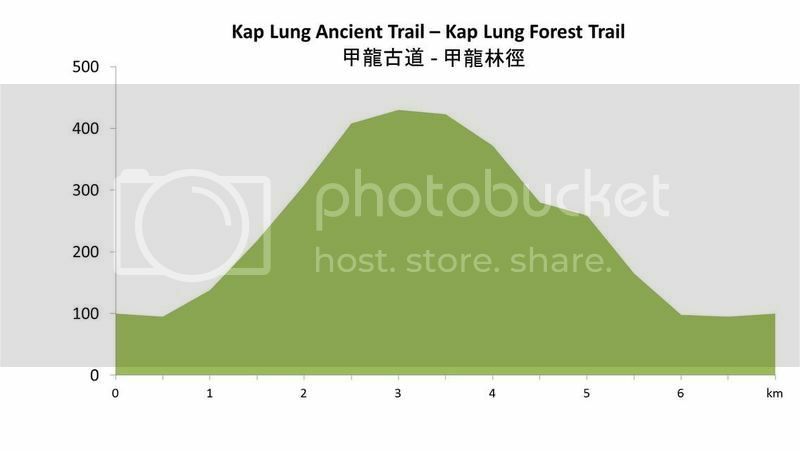 In former times Kap Lung Ancient Trail was a commuting route for farmers travelling to and from Tsuen Wan Market. 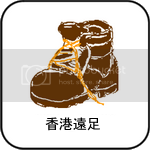 Most of the path is paved with stones. 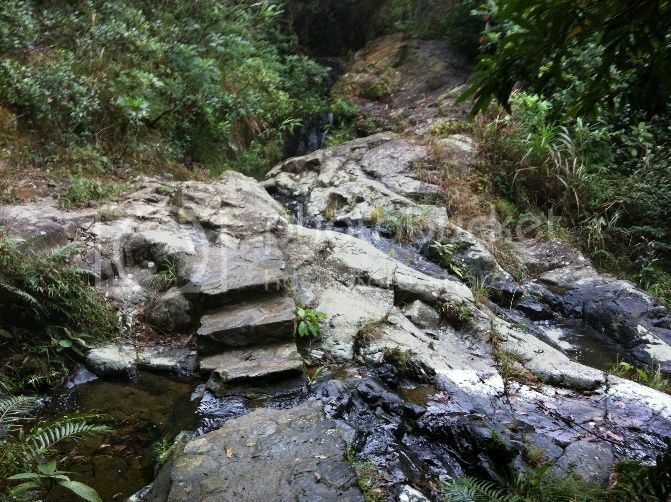 Be careful when walking on this trail in the rainy season, because some stones are mossy and therefore very slippery! 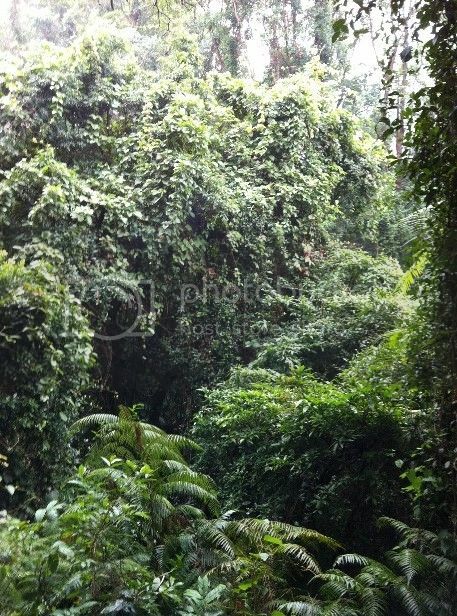 It is a nice remote trail lined with old trees on both sides. 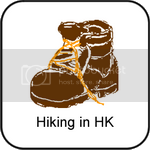 Bring a shirt to change in to, small towel, waterproof sun block, mosquito repellent, hiking boots are recommended, a hat, and enough water. 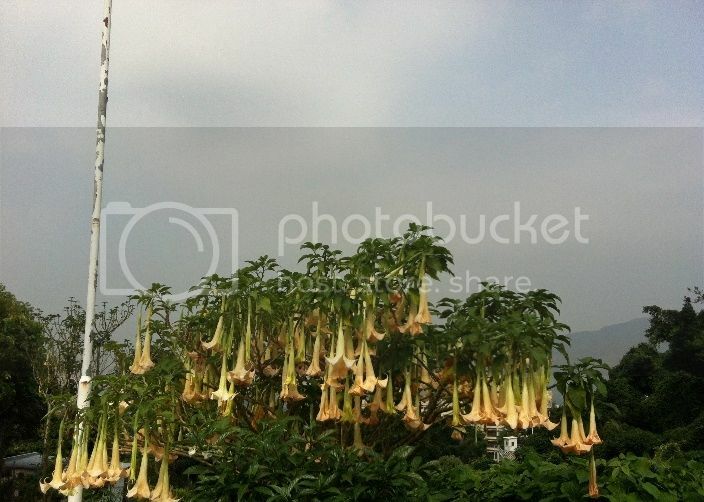 Don’t forget your mobile phone!